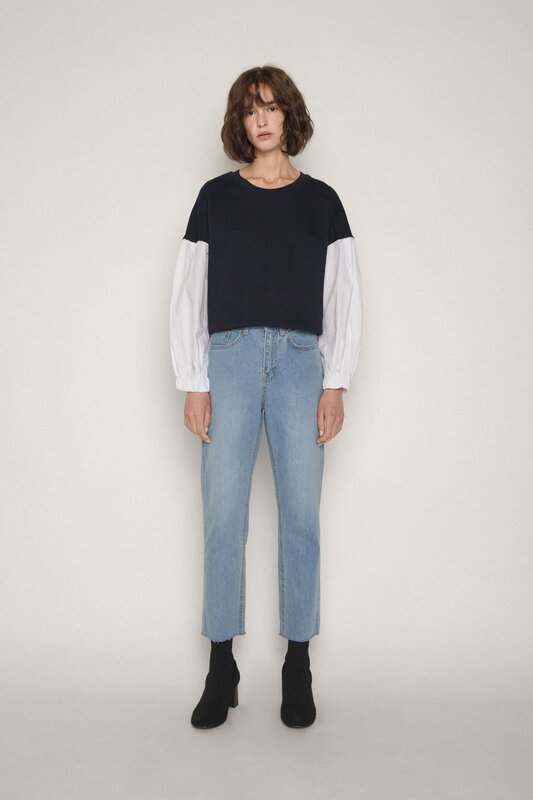 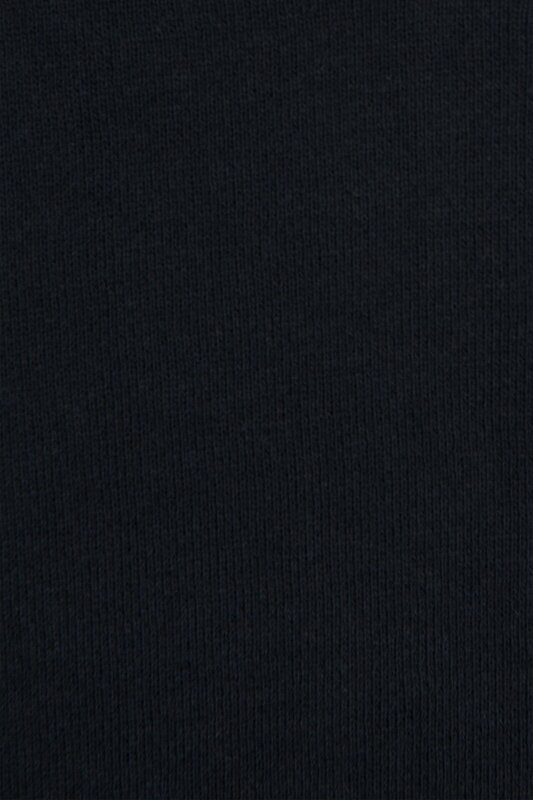 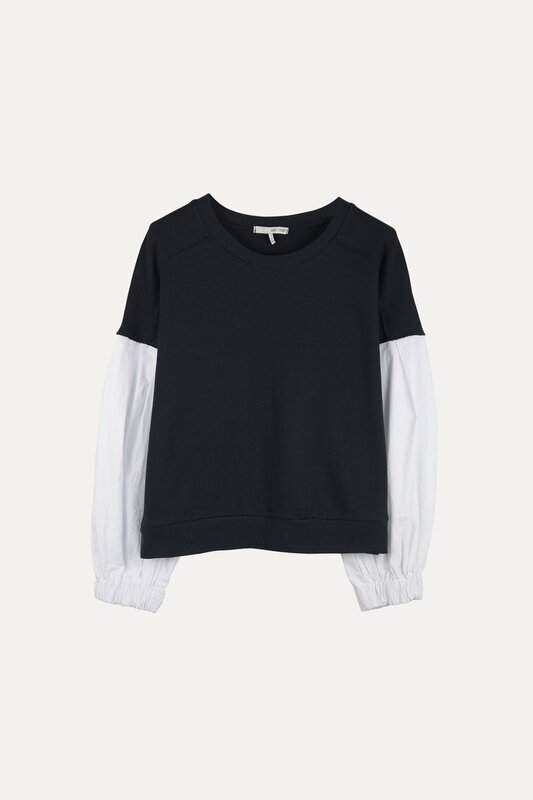 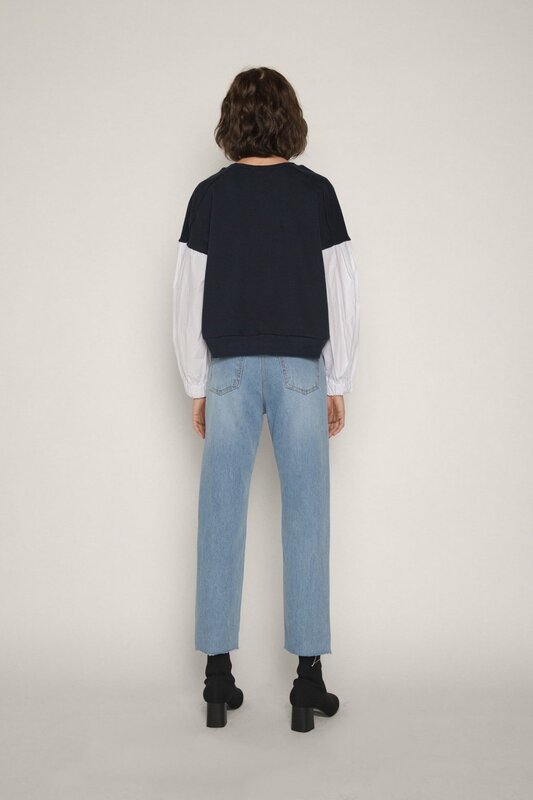 An elegant twist on your typical sweatshirt, this unique piece features a lightweight crewneck with poplin sleeves for an elevated touch. 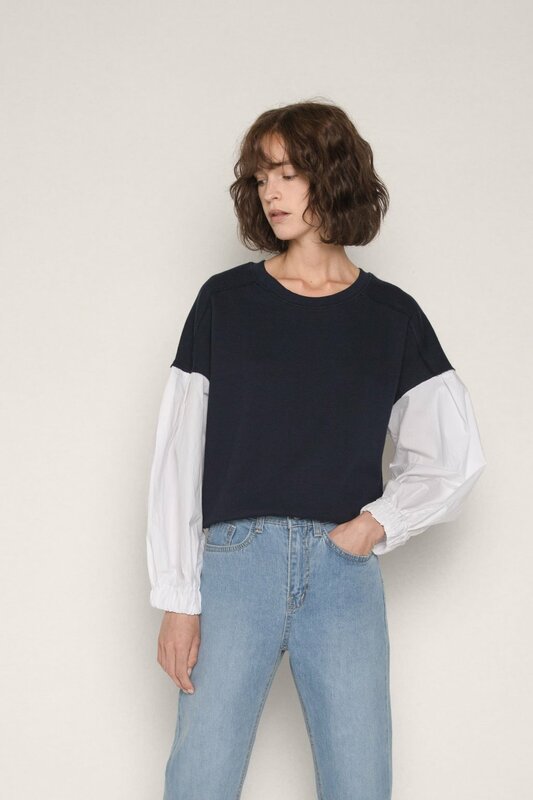 Featuring raw seams and mini side slits, this shirt effortlessly blends sophistication and an athleisure-inspired aesthetic. 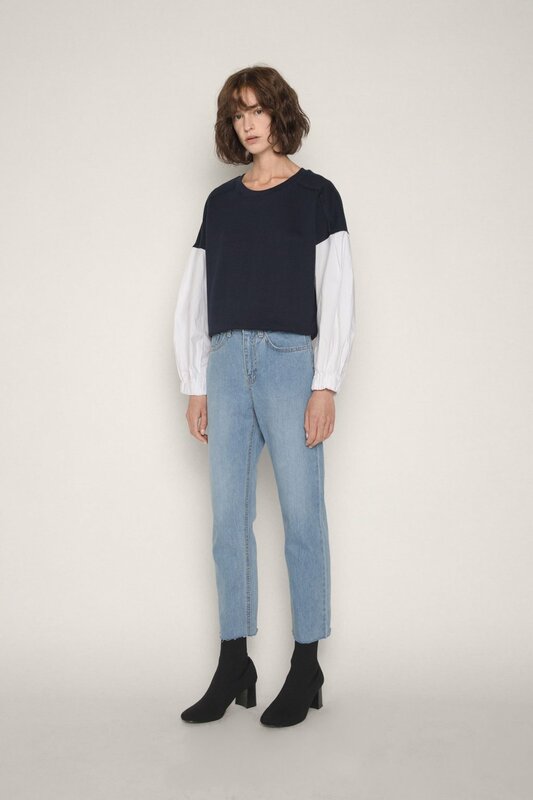 Pair with denim and ankle boots for a chic yet casual everyday look.